Don't fret about being a doll. You are going to bring dollhood to a new level! Everyone will be delighted with your whimsical portrayal of storybook lore. Add this Wig to your costume and have a great time! Does your little girl love to play with dolls? I bet she imagines those dolls magically coming to life and going on all sorts of adventures. Imagination makes childhood so much fun and filled with magic. This girls Rag Doll costume is the perfect look for any little girl who loves her dolls and secretly wishes she could be one herself, come to life! Dolls have it made! They always have the perfect red yarn hair that we dream about at night. We thought that we'd never have hair like that, but then, we found this Knit Rag Doll Beanie. It gives you the cute look that you can find on your toys. We have to warn you though, if you hang out in the toy store while wearing, people might mistake you for the newest doll from Japan. Fairy tales these days lack the charm of the ones from centuries past. You know, the ones where everyone dies and yet, somehow someone lives happily ever after. That's what this ragdoll's story is all about. Not a trace of rainbows or lollipops here, just skulls and tons of black. 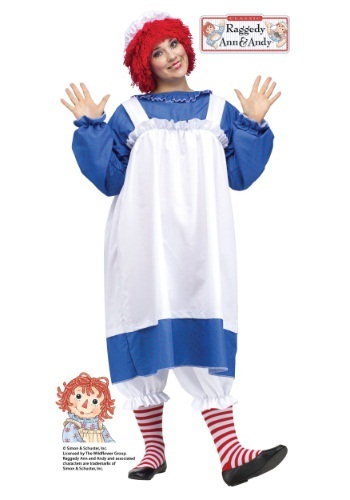 Relive some of your childhood dreams in this Plus Size Adult Raggedy Ann Costume. Who says grown-ups can't play with rag dolls? You can start a new trend! Sometimes, the only way to get Andy's attention is by going a little darker... Sure. Everyone loves your peppy and giggly version, but sometimes a change is perfect to re-spark the relationship. Bring out your naughty side with this Plus Size Gothic Rag Doll Costume. Are you feeling nostalgic for your childhood play dates? 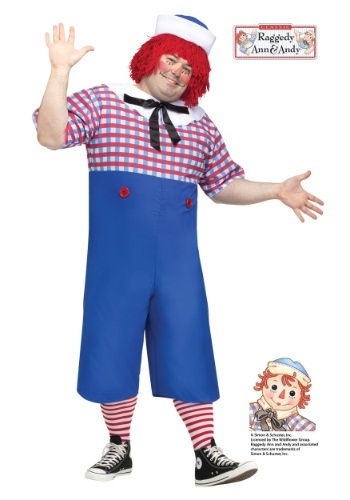 Then relive them in this Raggedy Andy Adult Costume! Maybe bring a friend as the camel with the wrinkly knees, or as Raggedy Ann. 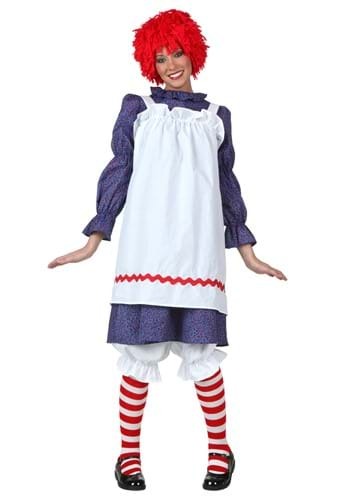 Be the biggest, cuddliest rag doll at your costume party in this Raggedy Andy Adult Plus Size Costume. Relive a happy childhood in the play room and go on adventures. Maybe get a Raggedy Ann costume for the woman in your life, for a matched couple idea. 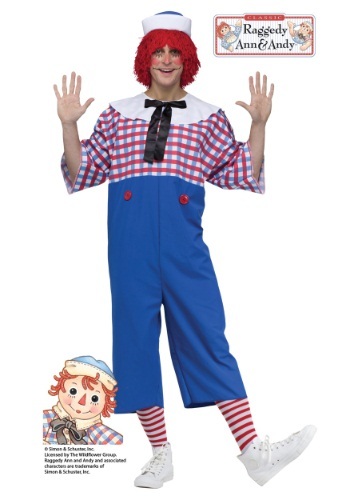 Have your very own living Raggedy Andy doll when you dress your son in this Raggedy Andy Toddler Costume! Maybe dress his sister as Raggedy Ann, for a cute sibling duo. NOTE: full wig not included. Who says grownups can't have fun with kids' toys? 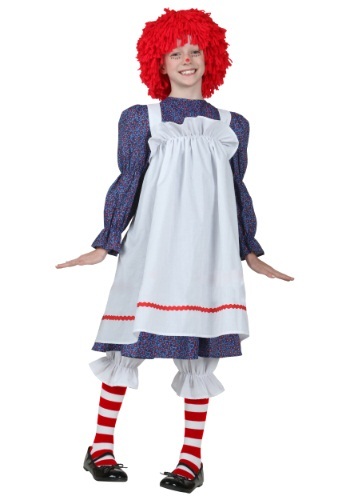 Find out when you wear this Raggedy Ann Adult Costume. Get ready for adventures in the playroom or the Happy Meadow. If you're really into nostalgia, find one of the old original story books. You're never too old to play with dolls! Or to be one. 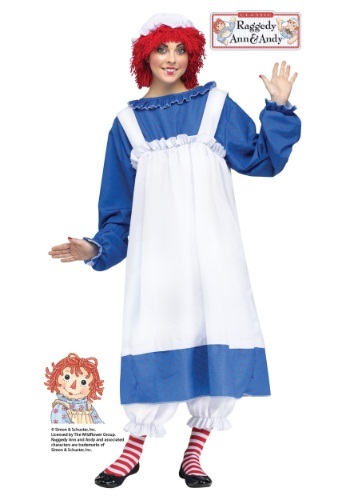 Get this Raggedy Ann Adult Plus Size Costume and relive happy play times.Get an Andy costume for your man, and have a fun couple's theme. A lot of girls like to dress as their favorite doll. 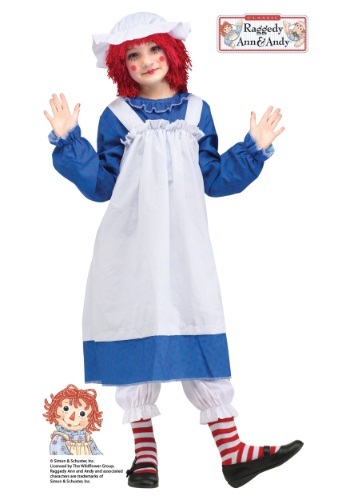 If hers is Raggedy Ann, then get her this Raggedy Ann Classic Child Costume! Then maybe get one of the old story books and let her re-enact some of them. Or she can use her imagination and come up with her own adventures. 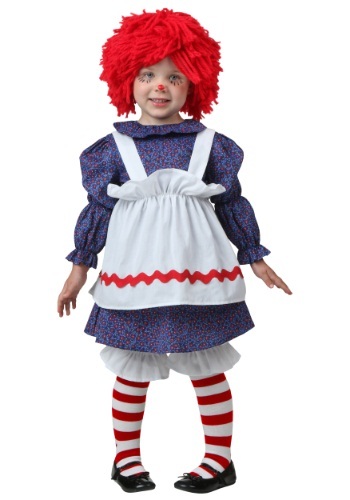 She's just a cute as she can be in our exclusive Toddler Little Rag Doll Costume! She can look just like her favorite stuffed doll, and have adventures in the playroom. Or she could be the perfect hostess for a doll's tea party. Now your little one can look like her favorite doll when she wears this adorable Toddler Rag Dolly Costume. This costume is great for little girls who love to play dress up. The black, pink, and white color combination is very girly and cute. Just pick up a pair of black Mary Jane shoes to complete the look! Have your own living, breathing Raggedy Ann doll! 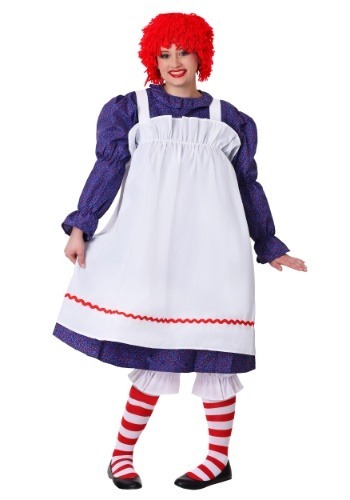 Dress your little girl in this Toddler Raggedy Ann Costume. 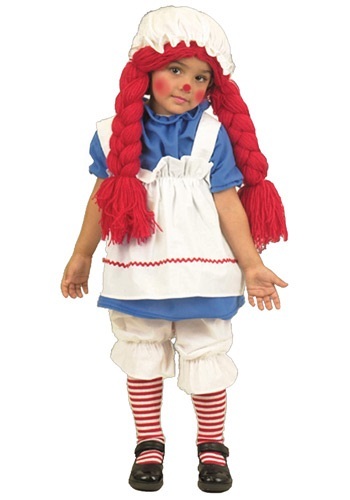 And maybe get a Raggedy Andy costume for her brother, and make a cute sibling duo. They'll be ready for all sorts of adventures! She used to be so perky... I just don't know what happened. Maybe it's just a phase, or who knows, her new personality! Eek! Give your favorite nap time dolly a dark makeover with this Tween Gothic Rag Doll Costume. Trust us. It's sure to frighten more than just your parents.